Turn left out of the elevator and you will find yourself in Diebenkorn: Beginnings, 1942-1955 and the early days of Diebenkorn’s artistic journey. Reinforcing the motivation behind the exhibition, Diebenkorn’s statement answers the question, “Why Beginnings?” Because, as much as Diebenkorn has been researched and written about, never has an exhibition taken such a holistic view of his career and shed a light on his earliest works as fundamental to understanding his overall canon. Until now. Richard Diebenkorn, Untitled (Magician's Table), 1947, gouache and graphite on hardboard, 14 1/8 x 14 3/4 in. (35.9 x 37.5 cm). © Richard Diebenkorn Foundation. Inspired by a Mondrian exhibition he visited in the Netherlands in the early 2000s, which was laid out to experience the artist's works in chronological order, Crocker Chief Curator Scott A. Shields deliberately arranged the exhibition to trace one of the least explored parts of Diebenkorn's career: his beginnings. One follows the artist through the exhibition as he sketches military men on the train to Berkeley, dabbles in Surrealism and Cubism, and wrestles with Abstract Expressionism. “Some artists have skill, but they never develop a voice. We see Diebenkorn here not fully formed, but still finding his voice as he works his way through art history,” Shields says. Since the show’s opening October 8th, artists and non-artists alike have responded to the exhibition’s exploration of not only the works, but the artist himself, his growth, and his struggle to find his artistic voice. It’s Diebenkorn at his most relatable. See Diebenkorn’s progression for yourself as you make your way through his earliest works before the exhibition leaves on January 7. 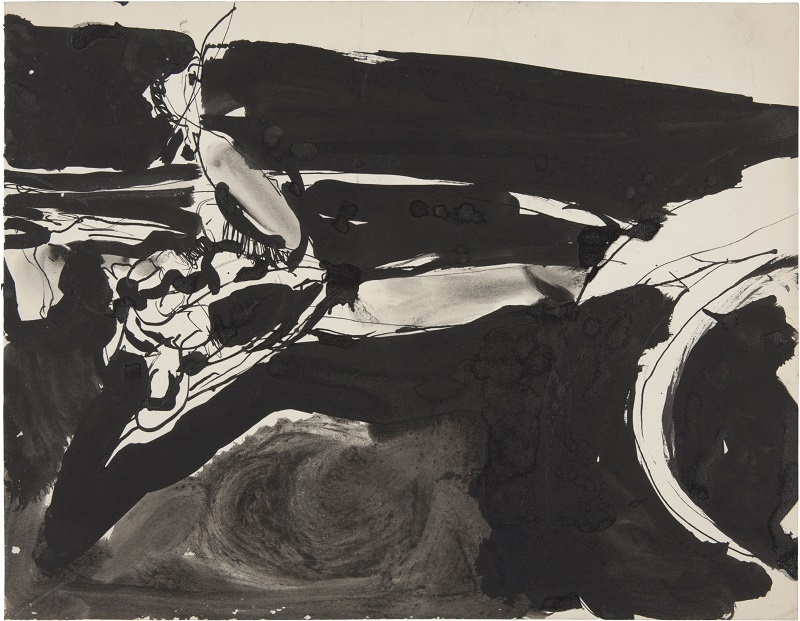 Cover photo: Richard Diebenkorn, Untitled, c. 1950–55, ink on paper, 11 x 14 in. (27.9 x 35.6 cm. © Richard Diebenkorn Foundation.